This story is evolving. Women are coming forth with their stories of encounters with Donald in which they were the objects of unsolicited and unwanted sexual aggression, and he was the agent. Donald Trump has been a deeply flawed candidate from the beginning. He is a power-mad, thin-skinned bully at every level of interaction in society. Stories that have come to the fore in the wake of the videotape Friday night assert that his “locker room talk” was more than talk. Hillary Clinton’s campaign released this statement not long ago. Perhaps this is Donald Trump’s actual contribution to society. If enough decent men turn against the tawdry, dissolute, perverted “model” he represents for young men in this country, maybe he will have performed a service – his first ever – for the nation and society at large. He should never be president. His behavior disqualifies him. His cavalier attitude toward violating women’s privacy and personal boundaries fall far below the bar. He is, on so many levels, a horrendous choice for the position and the job. He lies. He invents fiction about his opponent (which his supporters believe even though none of it is true or validated). His business practices are predatory and dishonest. He knows nothing and does not seek to learn. He holds dangerous positions regarding foreign policy. I could go on. I will not. his attitude toward women is sufficient. Vote. I will not tell you how to vote, but you should know on which side your bread is buttered. She Was Asked to Switch Seats. Now She’s Charging El Al With Sexism. 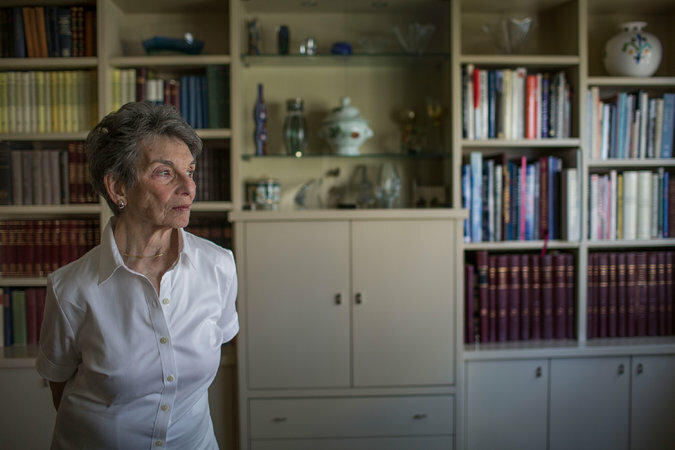 JERUSALEM — RENEE RABINOWITZ is a sharp-witted retired lawyer with a Ph.D. in educational psychology, who escaped the Nazis in Europe as a child. Now she is about to become a test case in the battle over religion and gender in Israel’s public spaces — and the skies above — as the plaintiff in a lawsuit accusing El Al, the national airline, of discrimination. As any archer will tell you, there is a difference between hitting the bull’s eye and hitting the skirt. Twice in a week now, I see how the DNC damaged this country by contriving the 2008 nomination process. 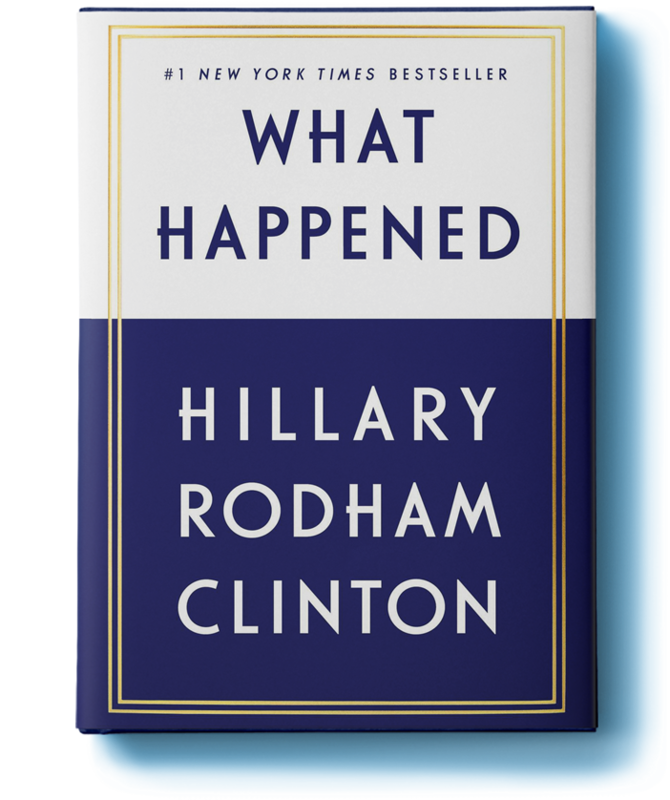 Two issues that Hillary Rodham Clinton made eminently clear that she would own, from before she declared her candidacy for president, were universal health care and a foreclosure freeze accompanied by restructuring of mortgage rates. Well, we did not get HRC, so we did not see these issues addressed as she had outlined them. Healthcare: Yes, we did, after an 18-month battle get something, but a badly flawed something, that continues to exclude too many, a large percentage of whom are women, and does not include the single most important factor that would have neutralized completely this week’s argument between the administration and Catholic institutions: the single -payer option. Had THAT been a non-negotiable part of the package, this week’s issue would never have arisen. Now this morning, the president presents a plan to help some mortgagees in trouble. 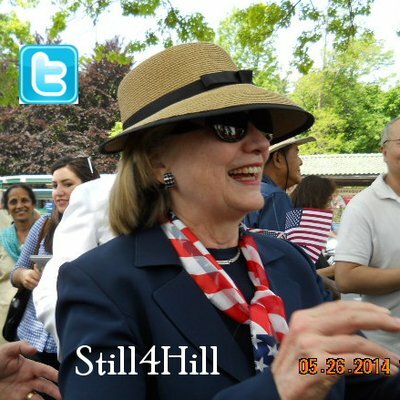 Had HRC’s HOLC or HOME been passed, all mortgagees in trouble would have had access to renegotiation, and foreclosures would have been temporarily frozen long enough for refinance to have taken place – years ago. Too little, too late for so many. The Dems are trying to drum up some enthusiasm for an incumbent candidate whose inexperience and self-assuredness have served up insufficiency and inadequacy. The one who was NOT ready from day one. The unnecessary debate over women’s’ healthcare and the limitations of this morning’s settlement with the banks do little to inspire team spirit. As usual, it is the surrogates who must argue with passion that the White House is doing the right thing by women, but is that enough? It should be the incumbent inspiring the passion. I find Karen Finney a particularly effective voice on the issue of women’s health care, but as I watch and listen to her, it occurs to me that, as she inspires me, it is not Obama I wish to follow into this battle, but rather Karen herself! I do not know whose voice we will hear speaking for those left behind by the bank settlement, but certainly one will emerge. In the same way that “Hillary Sent Me”, absent Obama personally reaching out specifically to HRC supporters, left me completely unmotivated to support him (and even more passionately wanting Hillary), this continuing surrogacy strategy is doing nothing but spotlighting leaders, real ones, that I would much prefer to share a trench with than Obama. Ms. Finney is quickly emerging as one of those. So, as I continue to harbor hope that in some way Hillary Clinton ends up at the top of the ballot sooner rather than later, I see in some of the surrogates who defend Obama’s inadequate programs, my future leaders. Elizabeth Warren is one, and Karen Finney is another to watch. 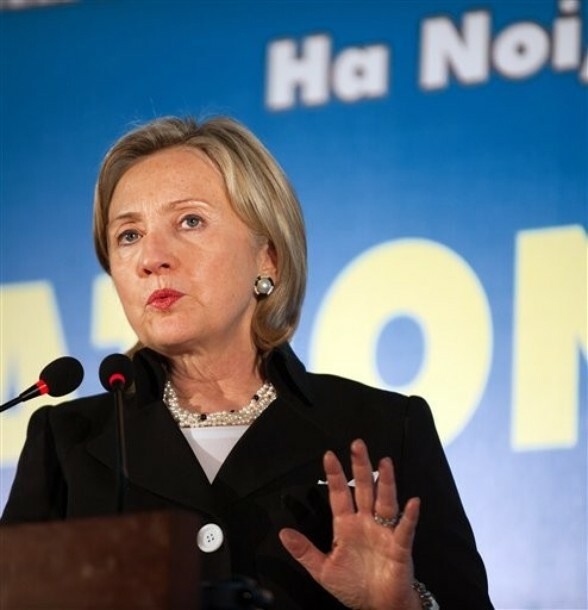 She has that Joan of Arc quality that HRC has. Yes, I would follow her into battle just as I would follow Hillary. Would I follow Obama? No, I still simply cannot do that. How can you follow the “leader” who leads from behind? You only get points for hitting the target. 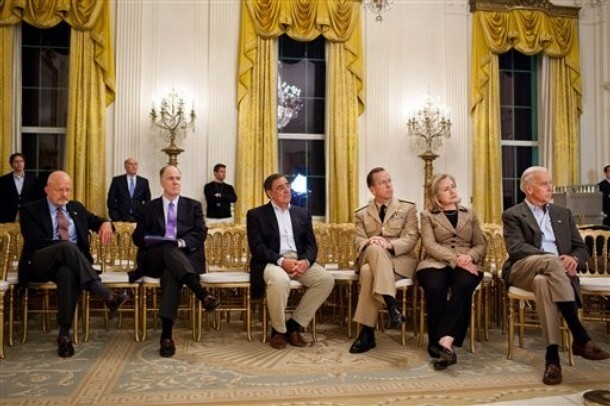 Obama continually hits the skirt. Overnight, silently at midnight, DADT expired. There was no fanfare, and as far as I can see no protests either. It simply slipped into history and was gone. Imagine that! I had two major problems with DADT (aside from the simple unfairness of it). 1. Not everyone takes naturally to the military. We have a volunteer army, and I believe the military is a calling. I know I would have been a terrible candidate for military service. I am just naturally so insubordinate and argumentative. So, if some young person is called and is willing to defend me and us, why should I care whether that person has blue, brown, or green eyes, is right or left-handed, is straight or gay? That never made any sense to me. 2. As a taxpayer, much of what I earn and pay in taxes goes to defense. I help pay for some very expensive specialized training. I resent that 14,000 specialists that I paid to train were fired. Can we have the Arabic translators back now? How crazy was that? Just got an email from Robby Mook saying that my DCCC membership has expired and all I need to do to renew it is contribute. With the Federal Election Commission (FEC) deadline just days away, there has never been a more critical time to show your support for President Obama’s agenda…. Really, Robby? And what agenda would that be? The one that has yet to advocate for full civil rights for gay Americans? The one that extended unemployment benefits for 13 months but the Bush tax cuts for the wealthiest Americans for two years? The one that, instead of fighting for the single payer option simply allowed it to be excised from the health care bill? The one that still does not firmly, once and for all say that LGBT rights are human rights, and human rights are LGBT rights? That among those rights is the right to serve one’s country, and to die for it, as openly gay? As who you are? When the Democratic Party listens to its membership, I will renew my membership. The party refused to provide a fair and transparent roll call vote in Denver in 2008, and the RBC reassigned Hillary Clinton delegates to Barack Obama in a move that, if not illegal, was at least unethical. I, as a registered Democrat resent the way the party treated me and my 18 million pro-Hillary cohorts. My contributions since 2008 have gone and until further notice will continue to go to Hillary Clinton. What will it take for me to make future contributions? Put Hillary Clinton at the top of the ticket where she belongs. You Crossed the Line, Ann Coulter! Reasoned debate over policy is palatable. I just saw Condoleeza Rice on 360 with Anderson Cooper. I often disagreed with her administration’s foreign policy, but she is reasonable, and I do not always disagree with her. I respect her knowledge, intelligence and restraint. We sit on different sides of the table, but I find her admirable. 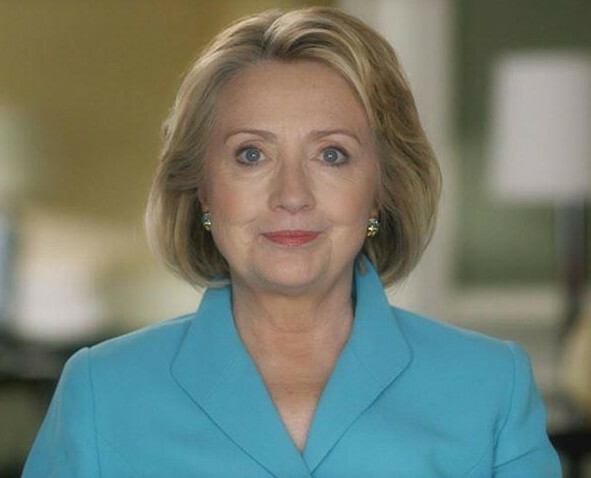 First a disclaimer, I happen to think Hillary Clinton is beautiful. Her ankles are part of her, and I think they are pretty. 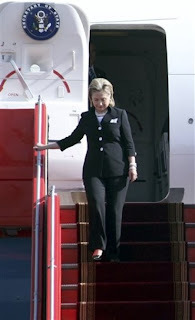 Remember when “Cinderella” lost her slipper on the steps of the Elysee Palace? Whatever ankle is above that foot cannot possibly be as offensive as Coulter implies. (Anyway, we were all looking at the Jimmy Choo’s or whatever they were, with severe shoe-envy). That said, here is my beef. Sexism, like racism, is an equal opportunity offender. Some of the sexism directed at our Head Homegirl during the primaries of 2008 and even before that (Robin Givhan and her “Cleavagegate”) came from women. Men were excoriated for it, but women participated as well. In this particular case, a woman generates it which is exponentially more offensive than going along with it. Now I could take the shallow route here as I have been known to do with Coulter. I am slender, but she looks hungry. When I was a growing pre-teen and got crabby, my mom used to tell me I was out of sorts because I was hungry (usually true). I could say that someone needs to take Coulter to Blimpie’s, and maybe she will calm down. But it is more than that. Sexism is a virus hidden deep within our culture. Viruses are tricky creatures. They dig deep into the soil and hide for centuries. AIDS is thought to be a resurgence of something buried for many centuries and freed by deforestation. 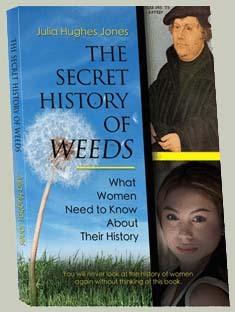 We are enculturated with the sexism virus. We gain resistance if we are raised by parents who inoculate us by their guidance. But in today’s society, we also know via research, the deleterious effects of sexism on communities. Coulter, purportedly educated, should know this. So, Ann Coulter, you have crossed the line. If you have a problem with Hillary Clinton’s policies, by all means voice them (try to eat a sandwich before you do). But if you are going to make a remark about a body part, be warned, skeletal is not a look to be envied, either. Women have curves. Hillary does, and she is beautiful. Furthermore, I do not hear anybody making remarks about his ankles. I would argue that they must be at least three or four times times the circumference of the ankles on our pretty Head Homegirl, and it seems that nobody cares! Homegirls and Homeboys, the offending comment can be found here. As if we really needed further evidence that running a campaign is different from running a country, the Obama White House served up a perfect storm of unjust job losses this week, only one of which received much attention. The level of ineptness and dysfunctionality boggles the mind. By now, everyone has heard the story of Shirley Sherrod, the USDA employee who was contacted on her cell phone while she was on the road for her job and told she was to resign. The request order was a hasty overreaction to a doctored video and came without the caution of investigation that should have preceded it. 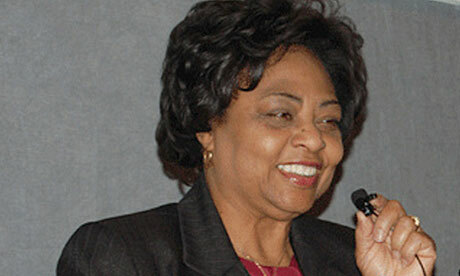 Judging from remarks from Ms. Sherrod in the aftermath, for her this is a bell that cannot be unrung. Things will not be the same for her even if she is offered and accepts her job back. It is hard to believe that a DC insider like Secretary Vilsack did not know the nature of source of that video, Andrew Breitbart, when political activists of every stripe and range on the spectrum do. That investigation was called for should have been obvious. That the hand should have been stayed for awhile until the truth could be uncovered is very clear in hindsight. But if hasty action robbed Ms. Sherrod of her career of more than 30 years, it is INACTION by the White House that, the very next day, deprived Lt. Dan Choi of the military career he loved. Lt. Choi, who is a graduate of West Point and fluent in Arabic, is openly gay and was discharged on the basis of Don’t Ask Don’t Tell, a law that Obama keeps saying he will repeal. We keep waiting , Mr. President. Why is there still no moratorium on these discharges? Why no executive order rescinding this law that you say is unfair and discriminatory? Why no swift, sure action on this, while the action against Ms. Sherrod was so speedy? Finally, and also relatively quietly, Gen. Stanley McChrystal retired from the military at the end of the week. Had it not been for a few careless remarks, he would still be running the Afghanistan campaign, but it appears the Obama White House is too thin-skinned to take a few wisecracks for what they were. When he was recalled from Afghanistan by the White House, the media speculated that McChrystal would be Obama’s MacArthur. Hardly. McChrystal crossed no borders except perhaps those of prudence and disobeyed no orders. The White House has no sense of humor. So the folks who gave you the “perfect campaign” in contrast to the one called “dysfunctional” by unnamed “insiders” who sang to the authors of Game Change now present us with a dysfunctional White House. And the woman who ran the “dysfunctional” campaign … she’s doing very nicely running a highly active and efficient State Department which she is in the process of reorganizing. If you want to know what Hillary Clinton would have done as POTUS, just look at her record at DOS. 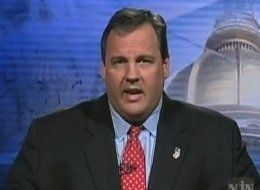 By June 1, 2009, she had granted domestic benefits to partners of gay State Department employees. If she had been POTUS, she would have rescinded DADT by executive order on that date. She initiated her Quadrennial Diplomacy and Development Review (QDDR) just a little over a year ago. Were she POTUS, she would have ordered a review like that in every department. Judging from the news of the past week regarding the incredible mess our intelligence and security agencies are in, it is shocking that the current and actual POTUS does not take that example and ORDER this at least for DHS which is so obviously a mess. It has NEVER been an organized department. The Bush White House created it as an umbrella and no one ever organized it. The current secretary and the president appear as clueless about what to do as W was! 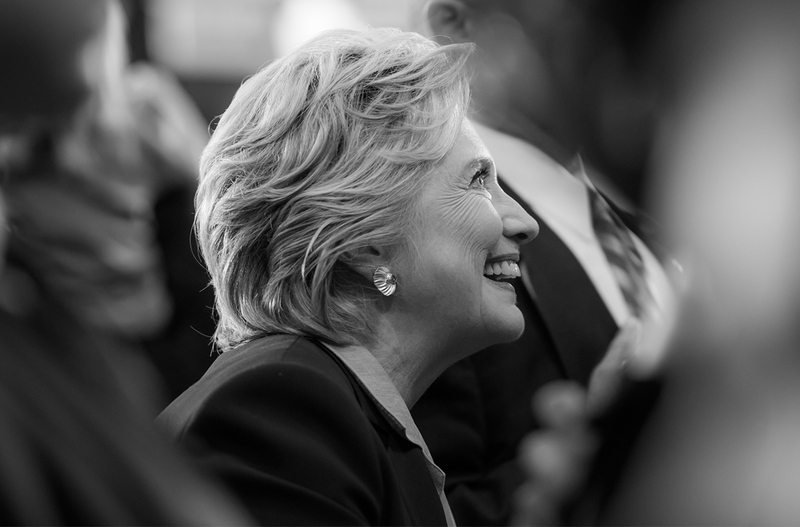 Lastly, a President Hillary Clinton would not have established an atmosphere in the White House that would have acted incisively without investigating first. That is why the domestic benefits did not come immediately. She investigated first. She would never preside over a White House that would pull an honest government worker to the side of the road while on the job, and tell her to resign. And Gen. McChrystal? Well, he might never have made remarks like that under Commander-in-Chief Hillary Clinton, but if he had, she might have called him in for a talk and probably would have ended up exchanging smart, funny remarks with him. 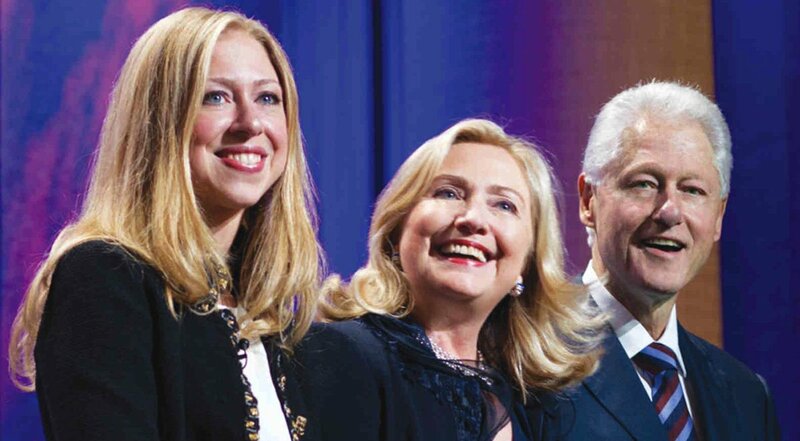 If Hillary Clinton were president, these three people would still be employed in the jobs and careers they loved.